The project applicants have experimented with fast scanning x-ray fluorescence (XRF) spectroscopy for the visualization of erased writing since the first publication on this method by Uwe Bergmann, who used it on the Archimedes palimpsest in 2006. Continuous experiments to employ and further develop the method have been performed in Hamburg using standard equipment and an adapted standard sample holder of beamline L of the now decommissioned storage ring DORIS III. Given the good results at slow measuring rates with this setup, funding for the barebones of a larger and much faster new sample stage was secured in the context of SFB 950. The Pier project is set to commission this specialized stage as well as to optimize and automate the data collection and pro-cessing steps. Concurrently, cost effective XRF detectors will be evaluated with this technique. Success would lead to an exploration of combining them with a portable laboratory x-ray source, as that approach has successfully been demonstrated on paintings at the University of Antwerp. Due to the significantly weaker XRF signals from manuscripts compared to paintings the signal detection efficiency in this approach has to be increased accordingly. A second aim of the project is raising awareness for these methods among manuscript scholars. To this end, a special session on modern technology applied to manuscript studies will be integrated into the leading Ancient Greek palaeography conference, next hosted in Hamburg in September 2013. Free-Electron Lasers (FELs) offer the possibility to study the structure of single molecules in a time-resolved manner. This can circumvent the bottleneck of crystallisation to obtain high resolution struc-tures of biomolecules. However, current sample delivery techniques, such as liquid jets and aerody-namic lens systems, either suffer from an increased background or are in-efficient, whereby the majority of the expensive samples are lost. Our projects aims at developing a delivery system based on a native mass spectrometer. This technique consumes much less sample and preserves the structure of protein complexes. The samples are introduced as ions, which enables storage and timed release of particles. Thereby, an increased density at the interaction region with the FEL beam can be achieved. Samples can also be mass-selected prior to the interaction region making the technique especially attractive to monitor reactions involving minor or transient species. Such an online purification is difficult to implement with other techniques. The mass spectrometer will first be used at FLASH. Here, studies on FEL-based fragmentation can offer valuable insights into the topology of biomolecules. Ultimately, the project aims at the design of a native mass spectrometer for high resolution imaging (diffract before destroy) at the European XFEL. Here, the online purification can reduce the computational costs to filter diffraction patterns tremendously and allows low populated species to be studied, which would otherwise pass unnoticed. The project “Diffraction mapping in the process of nanomanipulation” (DIMAP) is aimed at the simul-taneous application of atomic-force microscopy and synchrotron-based high resolution X-ray diffrac-tion for characterization of nanostructured materials. Structural perfection of nanosystems is of key importance for reliable performance of nanoelectronic devices where the size of individual structures approaches an interatomic distance scale. When using highly brilliant synchrotron source, the high resolution X-ray diffraction represents the powerful non-destructive method for characterization of surface and subsurface layers. On the other hand, the Atomic Force Microscopy (AFM) provides unique information on surface morphology with nanometer resolution. Therefore the combination of synchrotron X-ray diffraction and AFM in one instrument opens new perspectives of forefront research in the field of nanoscience, especially when the elastic properties of nanostructures are addressed. For instance, we plan to investigate the response of suspended membranes in so-called air-gap heterostructures on the strain imposed by the AFM tip. The mechanical action results in elastic deformation of the structure or even strain relaxation by formation of defects. The strain distribution can be accessed using high resolution synchrotron X-ray diffraction providing insight into the mechanism of relaxation and the related scaling law of elastic properties in embedded nanosystems. The generation and characterization of intense few-cycle laser pulses is essential for various applica-tions like the generation of isolated attosecond XUV pulses. With respect to current developments in laser physics it becomes even more difficult to characterize pulses in the non-visible wavelength range. The goal of this project is the further development of alternative and simple route for ultra-short laser pulse characterization utilizing the propagation in fluorescent liquid dye cells and dye enhanced polymers in particular. An ultrafast laser pulse exhibits a substantial pulse broadening during propagation through a medium dominated by GVD of the medium. This results in a fluorescent trace with decreasing intensity along the propagation axis which is proportional to the local pulse duration in the medium. This enables the complete characterization of ultra-short laser pulses and determines even the sign of an existing chirp. Since the fluorescence lifetime is in the order of a few nanoseconds this method can also serve for insitu single shot pulse measurement by following the peak intensity and position without any electronic data processing and is a powerful adjustment tool in the few-cycle regime. The complete characterization of new dye labeled polymers for laser pulse characterization as a new and reliable tool is the primary goal of the project FLUPi. The nature of dark matter (DM) is one of the biggest puzzles connecting particle physics and astro-physics. The elusive dark matter “carrier” particle may conceal itself among weakly interacting sub-eV particles (WISPs). These particles cannot be detected in accelerator experiments, and laboratory searches for WISPs are primarily done at low energies. Experiments in the radio regime are of particular interest to cover the mass range of 10−7–10−2 eV (equivalent to 0.03–3000 GHz) which is strongly favored for dark matter consisting of axions. The WISP Dark Matter eXperiment (WISPDMX) conducted by the University of Hamburg, DESY, and the Max-Planck Institute for Radioastronomy is one of such experiments. WISPDMX uses WISP-photon conversion occurring spontaneously for hidden photons and induced by a static magnetic field for axions. The exceptional sensitivity of WISPDMX is provided by a resonant microwave cavity enhancing the WISP signal by factors of up to 44,000 at several narrow-band resonant modes. To expand the measured mass range, the frequencies of these modes must be “tuned” using a “plunger” device inserted into the cavity and increasing the total bandwidth of the searches by a factor of twenty. The PIER funding will support constructing this plunger and enable WISPDMX to probe efficiently both hidden photons and axions. These measurements should either bring a detection of an elusive WISP in the of 10−7–10−2 eV mass range or ultimately exclude its relevance for dark matter. Prion diseases are fatal transmissible neurodegenerative diseases. A fundamental step in the patho-physiology of prion diseases is conversion of host encoded prion protein (PrPC) into a misfolded con-former (PrPSc) that accumulates in the brain. Besides acting as a substrate for conversion to PrPSc, PrPC binds a wide range of ß-sheet-rich oligomers such as PrPSc itself or ß-amyloid, the toxic species responsible for the initiation of Alzheimer’s disease. The ß-sheet-rich oligomer - PrPC interaction may thus lead to neurotoxic effects in a wide range dementias. Here we plan to study the structural aspects of the binding of oligomeric species of ß-amyloid to PrPC. The geometric structure of small, mass selected deposited clusters and its evolution with cluster size are generally unknown. Combining these features with the electronic structure is one key point to un-derstand and tailor the physical and chemical properties of deposited clusters and nanostructures. The very recent progress in grazing incidence small- and wideangle X-ray scattering (GISAXS/GIWAXS) as surface sensitive investigation methods at high brilliance synchrotron sources will enable us to study the lateral and three-dimensional structure as well as a possible self-organized structure formation of clusters on a surface. As a pilot experiment to show the feasibility of the approach, we plan to study the geometric structure of small, mass selected gold clusters deposited on different surfaces in the size range from a few up to roughly a dozen atoms per cluster. Different cluster sizes and substrates might result in different geometries of the deposited clusters. After deposition the clusters will be protected with a cap layer. We therefore propose to combine cluster deposition and micro beam GISAXS/GIWAXS to elucidate the geometric structure of embedded, mass selected clusters. To perform these pioneering and demanding experiments, the samples will be prepared ex situ and transferred to the GISAXS setup, e.g. 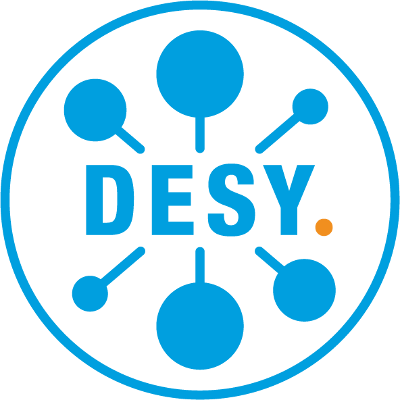 at the beamline P03/DESY. Hence, a new transfer system has to be setup within the project. Li-ion batteries are regarded key players for efficient mobile energy storage. However, significant inefficiencies regarding battery life time and cycle stability hamper application of high capacity/high power materials. Degradation processes are manifold, such as exfoliation, irreversible redox-processes and element migration or side reactions with the electrolyte. Synchrotron radiation provides very good means to investigate these degradation processes in-operando because of the none-destructive nature and high penetration depth of X-rays and large sample volumes that can be probed. The combination of a focused beam (500x500nm) and a fast X-ray fluorescence detector enables us to obtain high resolution images of the electrodes revealing correlation between chemical, such as the distribution of transition metals, and structural information. In our present project, we focus on capacity losses caused by migration of transition metals and the charge dynamics in the cathode. For this, a high precision potentiostat (battery cycler) was acquired to study these processes under operando conditions and pre-cycle cells in the lab. This work aims to evaluate epitaxially grown (Epi) silicon as a radiation-hard and cost-effective tech-nology to be used in the region of intermediate radii in high radiation environments such as the HL-LHC. Dedicated structures will be used to evaluate the radiation damage in the surface and in the bulk. TCAD device simulations will complement these measurements.